In my last post I made a pretty strong assertion: America is not sick but dead. Why did I say that? Obviously, America still exists and is operating as a nation so, how can she be dead? A person is not just physical. Each of us has a soul, that invisible yet essential element of our being where our thoughts are formed and grow to become our deeply held beliefs and convictions. The soul is what truly defines a person and what animates and motivates ones actions. Every person also has a conscience by which we have the capacity to govern our behavior so as not to violate our souls. This does not mean, though, that we will never do so. We can still choose to not heed our conscience. When we do that we commit suicide by a thousand cuts until, eventually, our identity is lost and our soul dies. Then, even though one is still physically alive, he is dead in the most vital sense. These same things are true for a nation. In the case of America, the Declaration of Independence represents the soul of America. It clearly articulates the ideas and ideals of America and thereby defines who and what we are as a nation. 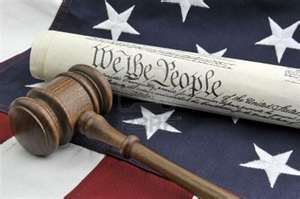 The Constitution represents the conscience of America and was designed to govern us in accordance with the stated principles of the Declaration. So, what I mean by my assertion that America is dead is that we have so violated the Constitution as to have completely lost our identity as a nation. We have descended from the lofty ideals of inalienable, God-given rights, to the always-changing, man made "rights" of personal gratification and political expedience. In so doing, we have murdered America. Yes, America still exists physically. She still has a geographical, governmental and economic identity, but the America that exists today is a soul-less entity, devoid of a conscience. The task then for true patriots is to be prepared to breathe new life into her by articulating anew the timeless principles of the Declaration and the necessity of following the Constitution. As I said in my previous post, America is in need of resurrection and we must not forget that a resurrection is a supernatural event. Even so, our God most often chooses not to act independently of our will and involvement. He has a role for us to play before He will act. Part of that is to be prepared, as I said in the previous paragraph. And the most important way to be prepared is to be pre-prayered. From our knees we assume the most powerful posture from which we can take the fight to the enemies of freedom. We must pray for America before we do anything else. May we each and all commit to do so. Consistently! Just a note to remind everyone of our next meeting on March 10th. At that meeting Aaron Baker will be informing us about the caucus process so that we can get informed and ready ourselves to get involved. The caucuses will be held on March 17. I'd like to encourage everyone to participate. To say that the turnout for our February 18 meeting was disappointing would be an understatement. (About 15 people.) I am hoping this was an anomaly and that the fire has not gone out with regard to our desire to make a difference for the future of our beloved country. This low turnout has solidified for me a change I had already been considering in the way I try to communicate our message. What I mean is that in the past I have taken a positive approach, attempting to encourage us to action through sharing of facts and truths from our history, the Declaration, Constitution and Bible. For the foreseeable future I intend to approach the matter from a negative perspective. So now, rather than take the positive approach and ask, "Has the American Experiment failed? ", then go on and point out that it is still an unanswered question, I will argue from the negative perspective and state, "The American Experiment has failed! ", then go on to explain why that is so. I now believe the negative approach will a more realistic and effective way to motivate people to action, which is what I am trying to accomplish by my posts. From either perspective, the solution is the same. 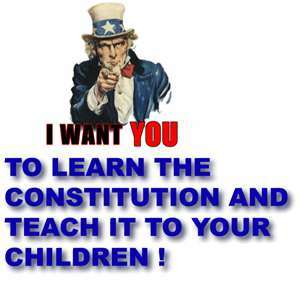 We must get back to the Constitution. As I said, I hope the turnout at our February meeting was just an anomaly and our March 10 meeting will have a much different outcome. Either way, I intend to use this space to communicate the message of MCP as long as this forum is available to me and as long as the Lord gives me breath and a keyboard. My first "negative message" will be forthcoming. Stay tuned. Just a note to clarify that the meal at our February 18 meeting will be "carry-in" so bring a dish and join us. Even if you can't bring a dish, or aren't interested in the meal, come anyway. The speakers we will be hearing will be well worth your time. See you then. Exposing HSUS and the deceitful "Your Vote Count"
Mindy Patterson is the president and co-founder of The Cavalry Group, an organization working to assist livestock producers, agricultural interests and animal owners in the fight against the radical animal rights movement nationwide. Mindy served as the campaign manager for The Alliance for Truth Campaign Committee which was at the forefront of the hard fought campaign opposing the HSUS driven Proposition B in the Missouri 2010 election. 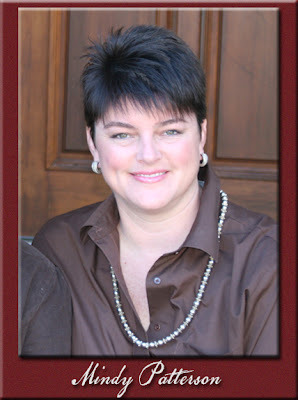 Mindy also serves as the Director of Communications for the Missouri Federation of Animal Owners (MOFED), the Development Director for United Horsemen, and is currently Vice President on the Board of Directors of the Missouri Equine Council. The Alliance For Truth campaign has reemerged to defeat the Missouri 2012 ballot initiative, “Your Vote Counts," a ballot measure that threatens Missouri’s sovereignty and constitutional Republic! Recognize this guy? Probably not. 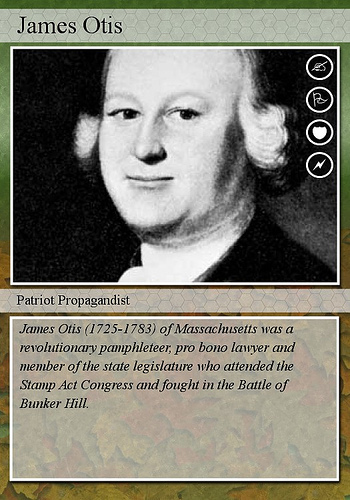 It's Revolutionary era patriot James Otis. Why am I showing his picture here? I'm glad you asked. Once, when asked why he and the others were risking everything in a venture with such little likelihood of success, Otis responded, "We do it so a man can stand up." As I was pondering what 2012 might hold in store for Macon County Patriots, these words of his kept coming to mind. What a great way to describe the freedom they eventually won and the legacy they passed on to their descendants! You might say that the job of each subsequent generation then became simply to remain standing. But we have a problem doing that today that not all generations have had because over the course of time, through all manner of intimidation, legislation and judicial tyranny, We The People have been told to sit down and shut up. And through complacency, busyness, indifference and a host of distractions, we have to a great degree done so, thereby failing in the vigilance Thomas Jefferson told us would be the price of remaining free. And that, in a nutshell, is why we're in the pickle we're in today. So what is needed to right the ship? We The People must get our feet back under us. We must stand up and step out if our beloved country is to be restored. But we must also plant them on solid ground. And that ground must be the Constitution. And that is where Macon County Patriots comes in because that is what we're all about. Or, if you prefer, you can pay when you come to a meeting, the first of which will be Saturday, February 18, from 10 to 2, at the Church of the Open Door on Highway 63 South in Macon. There will be 2 speakers at this meeting. One, Mindy Patterson, will tell us about the dangerous "Your Vote Counts" initiative that is currently being promoted in the state. The other, State Representative Paul Curtman, will inform us about the "Audit The Fed Resolution" and the "Sound Money Bill", both of which are currently under consideration in the Missouri Legislature. (See previous post of Feb 1 for more details on this meeting.) We will share a carry-in lunch at noon so bring a dish and join us. We always have a great time. I hope to see you then.